H354. A pith helmet or solar topee named to F/O L. M. Downie RAAF Richmond under the sweatband, possibly Leslie McDonald Downie. 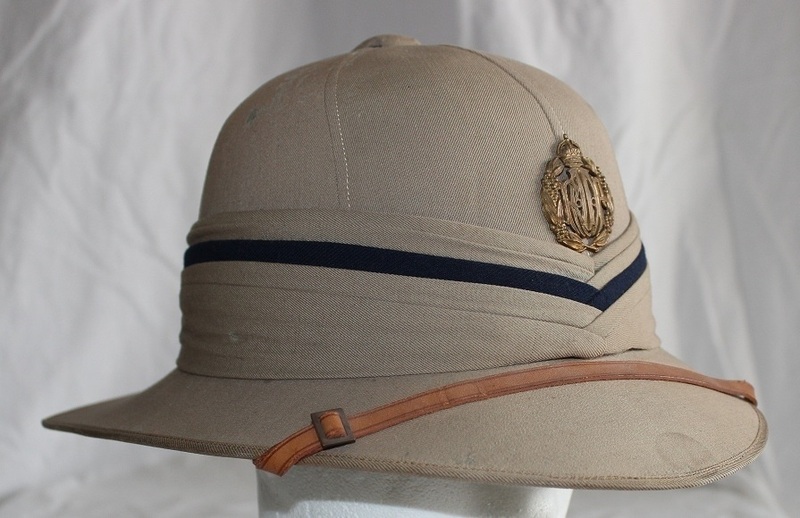 The helmet is covered with a khaki cloth and has a RAF flash on the left side of the puggaree. 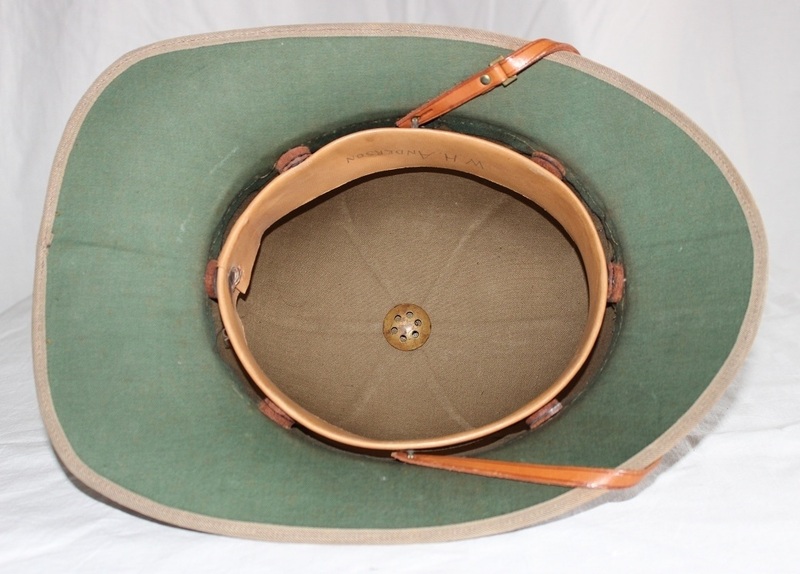 The helmet is also lined in khaki cloth, has a brass vent hole at the top, a light grey sweatband and a green underside to the brim. 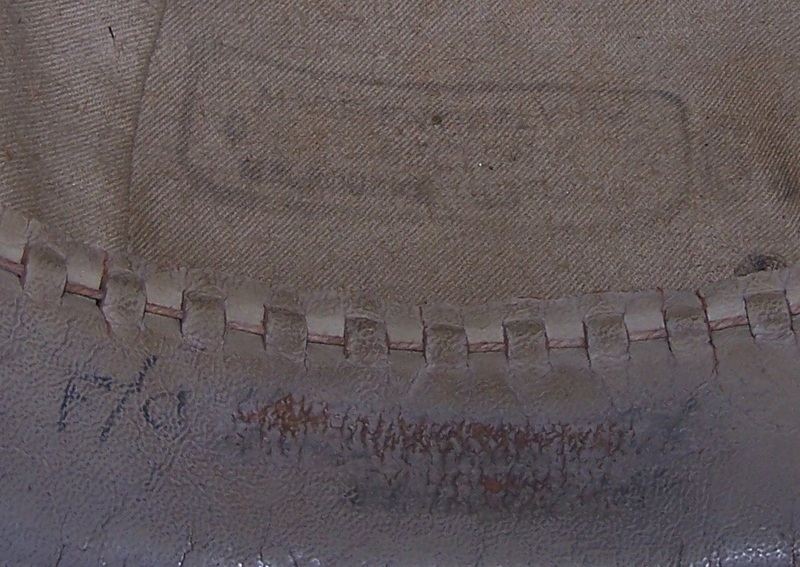 The liner is stamped Manufactured by Embleton & Co Melbourne Australia and the chinstrap has been removed. H355. 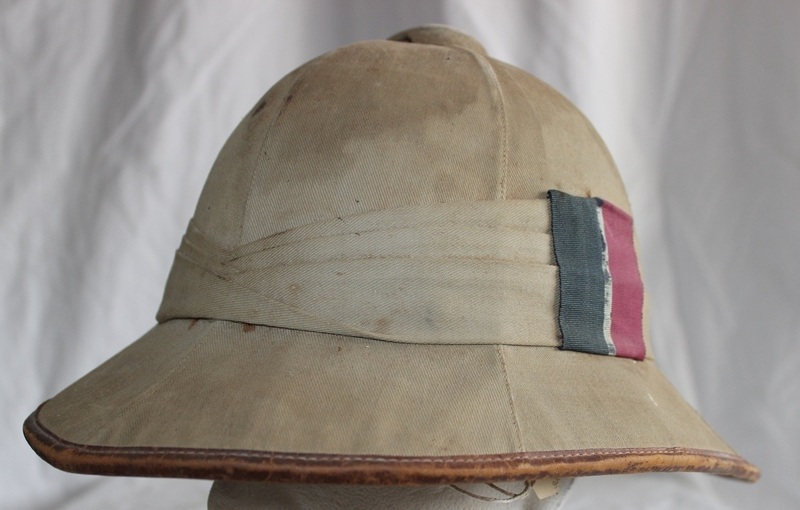 A pith helmet or solar topee named to a F/O (name erased) the helmet is covered with a khaki cloth and has a RAF flash on the left side of the puggaree. 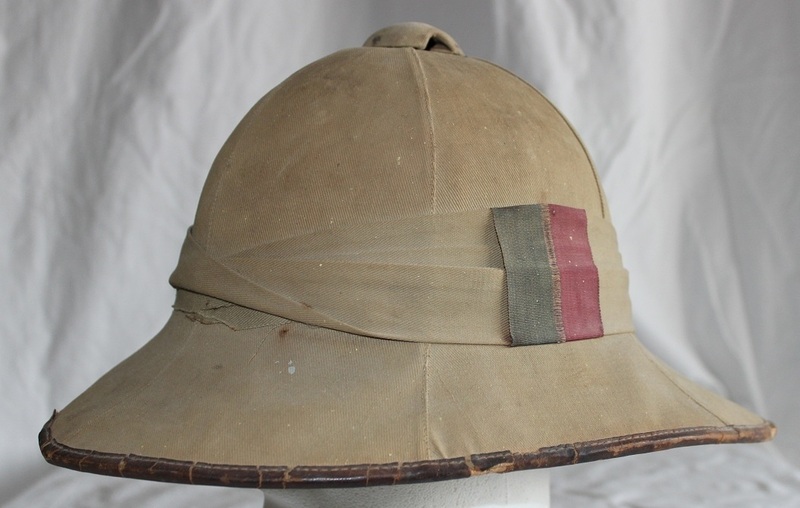 The helmet is also lined in khaki cloth, has a brass vent hole at the top, a light grey sweatband and a green underside to the brim. 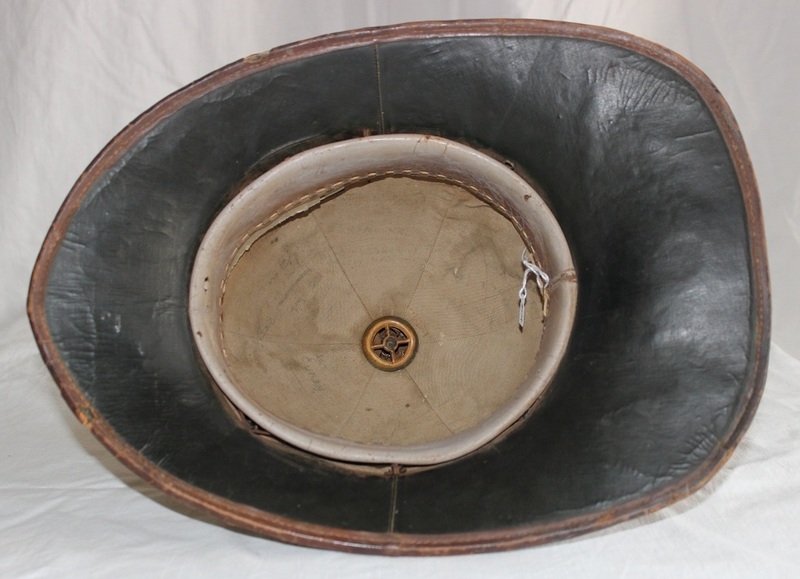 The liner is stamped Manufactured by Embleton & Co Melbourne Australia and the chinstrap has been removed. H355. Name on sweatband and makers label. H356. 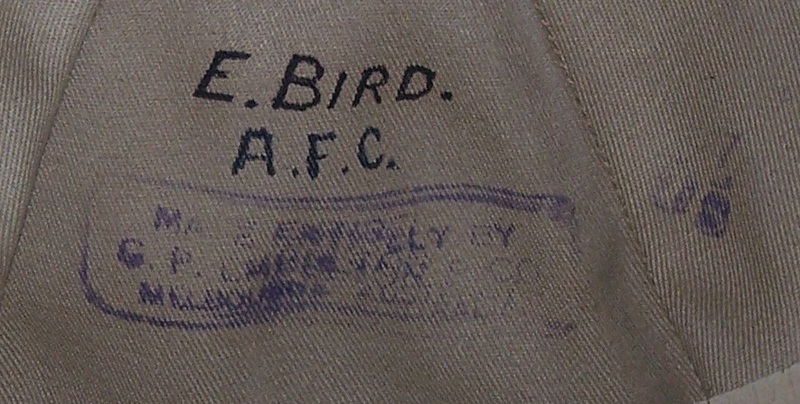 A pith helmet or solar topee named to E Bird A.F.C. 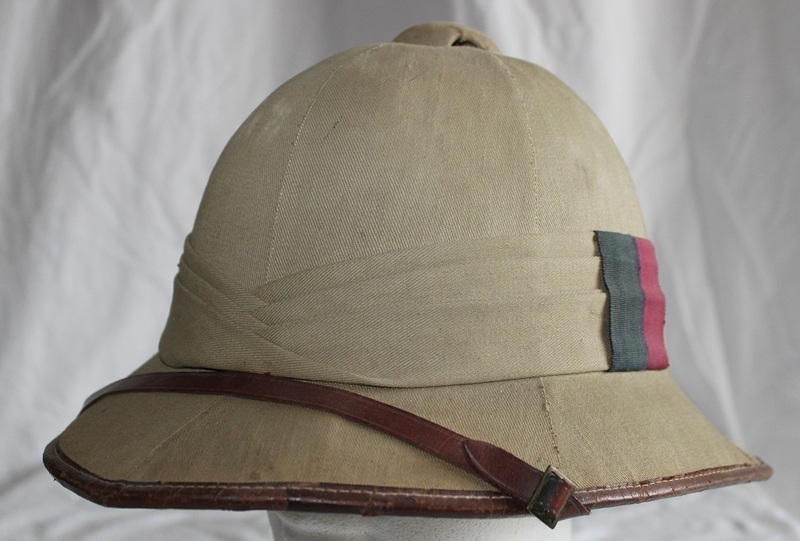 the helmet is covered with a khaki cloth and has a RAF flash on the left side of the puggaree. 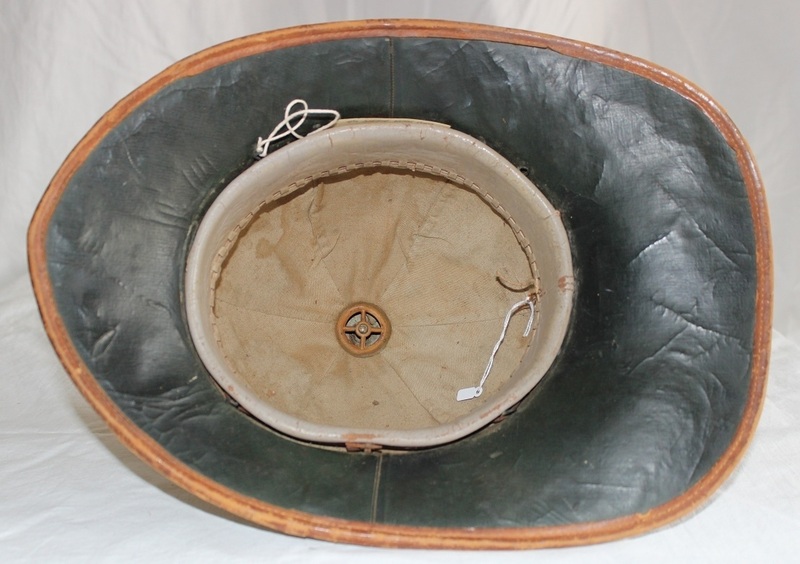 The helmet is also lined in khaki cloth, has a brass vent hole at the top, a light grey sweatband and a green underside to the brim. Both liner and sweatband are stamped Manufactured by Embleton & Co Melbourne Australia. H356. Name and makers mark on liner. H356. Makers mark on headband. H357. 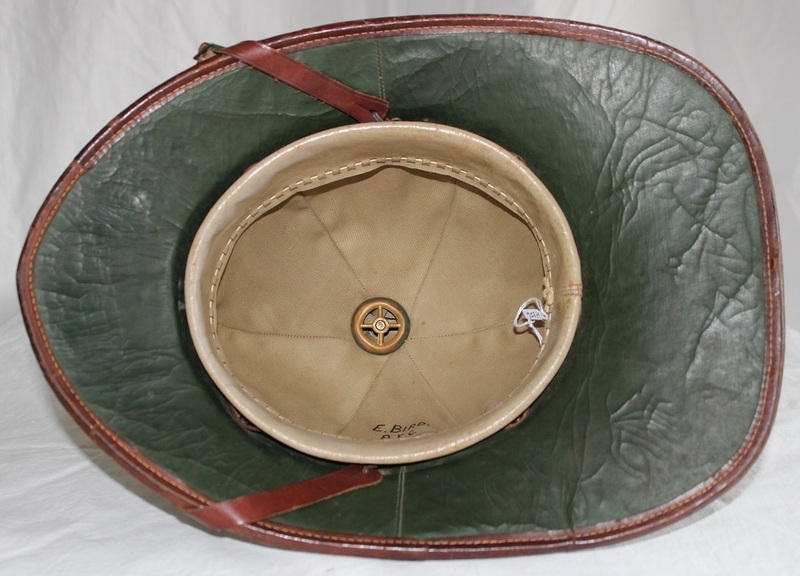 A pith helmet or solar topee named to W. H. Anderson, the helmet is covered with a khaki cloth and has a RAAF ranks badge to the front above the puggaree. The helmet is also lined in khaki cloth, has a brass vent hole at the top, a light tan sweatband and a green cloth underside to the brim.